In March of 2006, Robby, Reagan and I traveled around Texas for a few days. 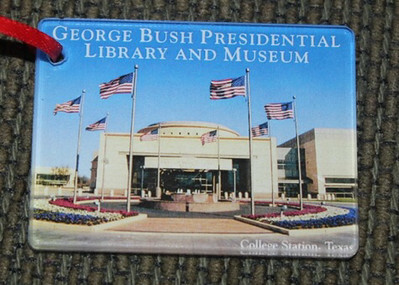 One of our stops was the Bush Presidential Library (George Herbert Walker Bush.) The link to the pictures isn't working right now, which is not surprising since that was 11 years ago. It is hard to imagine that we have been blogging about the kids and travels for over 11 years. Actually, some of the first blog posts were from 1998; we weren't even married yet. Back on track, Reagan was just a baby but I can still remember the stroller that we pushed her around in all over Texas.